Hillbrow was once the Central Business District of Johannesburg. A complicated string of events after the fall of apartheid, however, led to it becoming saturated with violent crime and gang activity. While the neighborhood has seen some episodes of improvement, it remains a hot spot for violence and a notoriously unsafe area. Regularly, children as young as four fall victim to some of the most brutal acts in the area. 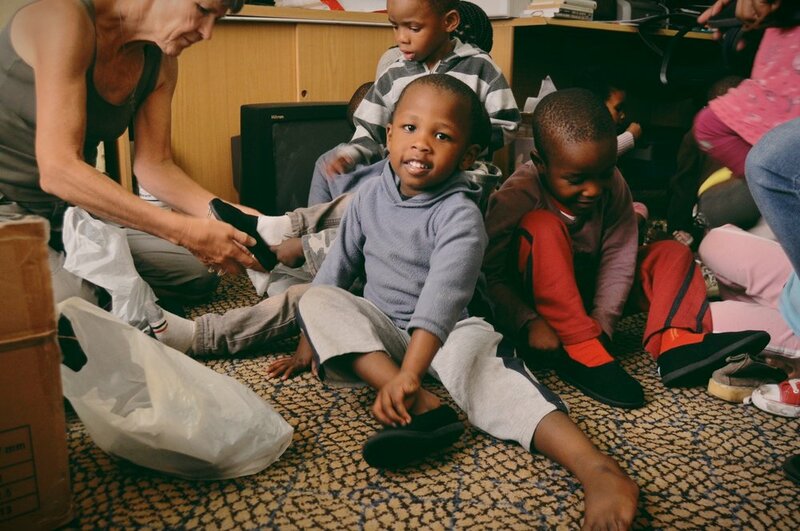 Desperation caused by poverty and inequality feeds the spread of illegal activity in the area, which makes things worse for a population of children born at the peak of the AIDS crisis. Because of the HIV/AIDS epidemic, South Africa has one of the highest rates of orphanhood in the world. Many children who have surviving parents are unable to receive proper childcare because of family illness and poverty, which is the need 5Cees responds to. Christ Church Christian Care Center began as a ministry of Rev. Mike Sunker, and has now grown to accommodate over 60 children. At the time, I came to teach, to mentor, and to provide whatever technical support I could. My unsafe surroundings left me mostly confined to the center, where I wasn't sure I was connecting and making the impact I hoped to. But then I started to pay more attention to the lives the kids at 5Cees were living, especially within the context of HIllbrow. I realized the ubiquity of negative influences that regularly surrounded them, and it occurred to me that without positive influences to counter them that were just as present and consistent in their lives, they were really up against unlikely odds. That helped me see the irreplaceable importance of being present, a key value that continues to influence all the work I do.